Talk about a fun roundup of press features this week! We’ve got everything from Wedding Chicks to Artfully Wed to On Trend Magazine – you won’t want to miss this one. 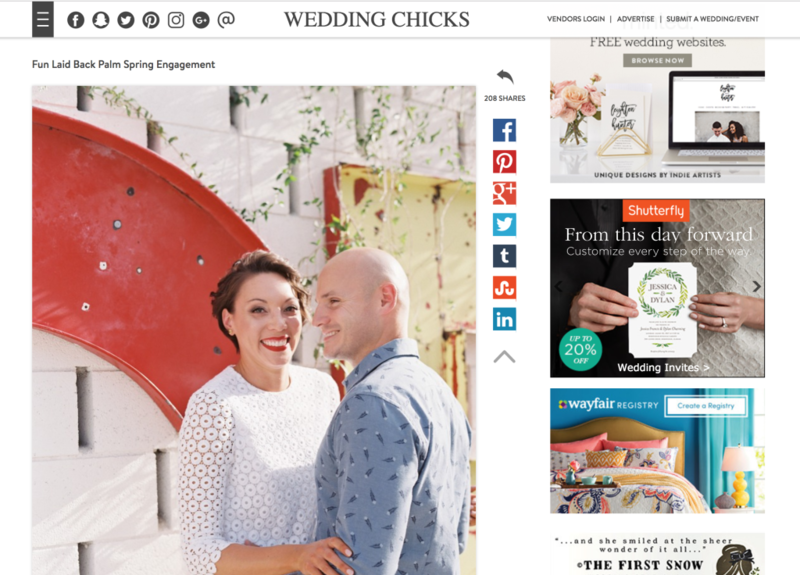 Rochelle Cheever Photography was featured on Wedding Chicks with her engagement shoot, Fun Laid Back Palm Spring Engagement. See the full feature here. Turner Photography Studio was featured on Southern Maryland Weddings with their real wedding, Destination Southern Maryland. See the full feature here. Cocoon Events Management Group was featured on Catersource with their article, Surprise and Delight. See the full feature here. OFD Consulting was featured on Catersource with our article, Post-Conference Recap: Making the Most of an Educational Event. See the full feature here. LadyMarry was featured in On Trend Magazine in a company profile. See the full feature here. Fantasy Sound Event Services was featured on Special Events in their guest article, The Ins and Outs of Diversifying Your Business. See the full feature here. Sunshower Photography was featured on Artfully Wed with their real wedding, Sweet Southern Wedding in Serenity and Rose Quartz. See the full feature here. Ann & Kam Photography was featured on Aisle Perfect with their real wedding, Classic Windy City Wedding with Lush Rustic Greenery. See the full feature here.